Late last month, eMarketer released its first ever US Native Digital Display Advertising Forecast report, which asserts that native ads will represent the bulk of US display media ad spending in 2017. This latest report is supported by dozens of interviews with thought leaders from the digital media and ad tech industries, including AKQA CTO and Co-founder Drew Wahl; DataXu CTO and Co-founder Bill Simmons; Lou Tosto, SVP of News Digital Advertising Sales at NBCUniversal; MediaMath VP of Global Media Tanuj Joshi; and PubMatic SVP of Product Management Evan Simeone. eMarketer puts forward a detailed breakdown of spending in native digital display advertising and underlines the key factors that will impact the deployment of native programmatic solutions among media buyers and sellers through 2018. Four key takeaways from the report emerge that we believe are of particular interest to programmatic media buyers and sellers—from the currently dominant role of social media properties that pioneered programmatic native ads to the evolution of nonsocial native inventory and the growing opportunity heralded by the shift toward streamlined mobile experiences packed within limited screen space for ads. Citing the outsized effect of social media API-based transactions over native advertising purchases as the primary driver, eMarketer estimates that some 84% of digital display ads in this format will be transacted programmatically in 2017.Among nonsocial publishers, however, the native programmatic opportunity remains largely untapped. Even when inventory from giant [and arguably well versed in ad-tech solutions] legacy publishers in the US is accounted for, the report finds that less than half of dollars spent in nonsocial native ads currently pass through programmatic pipes.“It’s been a slow start to enabling programmatic buying for nonsocial native display ads, but with the majority of buying platforms quickly moving to accommodate native ads, we see that changing in the next several months,” said eMarketer Principal Analyst Lauren Fisher, author of the report. SOCIAL DOMINATES, BUT NONSOCIAL MARKET SHARE EXPANDSNative digital display ads featured in social networks, social games and social apps received nearly nine in 10 dollars spent in the US last year. But social native ad spending growth rates are cooling off faster than those of nonsocial inventory. 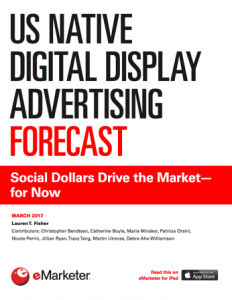 During each of the three years in the forecast ending in 2018, eMarketer expects annual growth rates in outlays earmarked for social native ads to be roughly half the size of those anticipated for nonsocial inventory.Nonsocial native digital display will slowly but surely expand both in absolute terms and relative to overall market size. According to the research firm, the portion of nonsocial native outlays will rise 2.2 percentage points to represent 15.8% of the total in 2017. Next year, the slice of spending allocated to the format outside social media properties will add a further 2 percentage points, catapulting the value of nonsocial native ad spending in the US beyond the $5 billion mark. 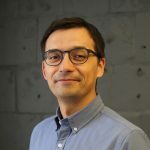 “We’ve had the technology to do [programmatic native] before, but the market wasn’t really at the point where it was ready to scale,” said Evan Simeone, PubMatic’s Senior Vice President of Product Management, in an interview with eMarketer for this report. “But from everything we’ve seen, more [publishers and demand partners] are integrating or have already integrated the required technology to scale programmatic native. I expect 2017 to see a significant uptick in scaled programmatic native.”Efforts to ease this transition are underway. 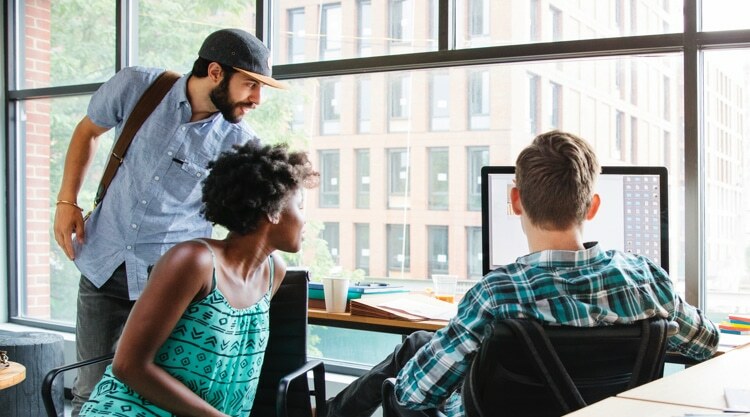 According to eMarketer, many publishers are swapping out programmatically traded standard display ad unites to make way for in-feed and in-article ads.In addition, the shift of audiences toward mobile and the very size of mobile screens are expected to boost mobile native adoption among digital media publishers and demand partners. “There is no righthand rail in mobile. There’s no room for banner ads. It needs to be in-feed, as people scroll by,” said DataXu CTO and co-founder Bill Simmons during an interview with eMarketer. MOBILE TO CONCENTRATE NATIVE OPPORTUNITY FOR PUBLISHERSOverall US digital advertising budgets are predominantly mobile and the same is the case for native digital display ad spending, 86.2% of which was allocated for impressions served to the growing multitude of portable devices used by consumers in 2016. That portion will inch up to 89.5% by 2018, nearly doubling the absolute value of mobile native ad spending in just three years.Unsurprisingly, social native is also a key driver here. But eMarketer predicts that options such as in-app rewarded video ads and the ongoing push for a streamlined mobile experience with in-feed units will stimulate further spending in native inventory—both social and nonsocial—on mobile devices. For the complete set of trends from eMarketer, you can access the report on the eMarketer website or listen to analyst Lauren Fisher as she highlights some of the key findings in a recent episode of eMarketer’s “Behind the Numbers” podcast, “The Lowdown on Native Advertising,” available on SoundCloud.